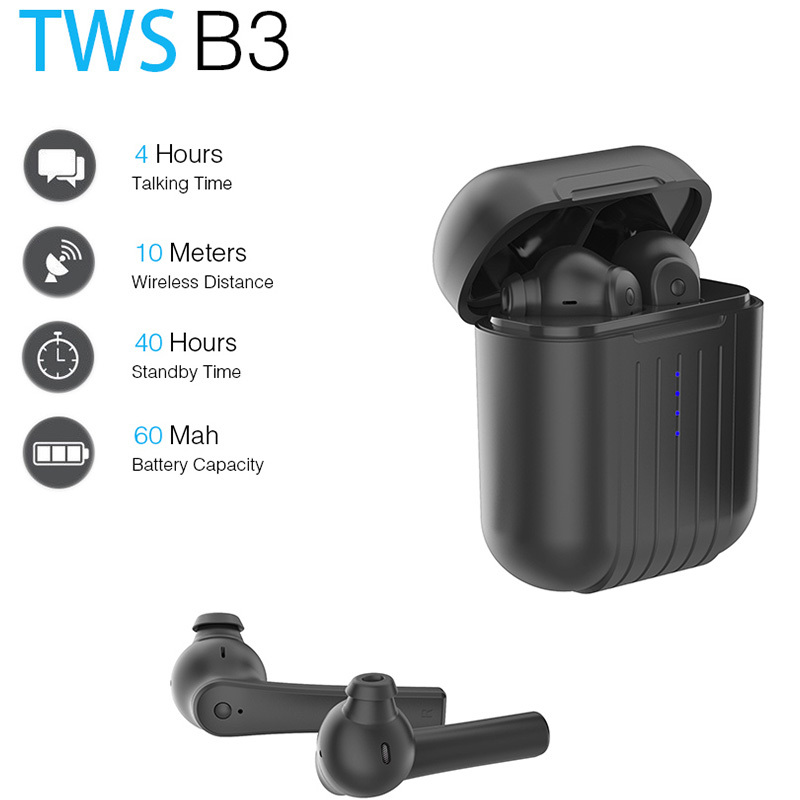 - Hot selling design mini Bluetooth earphone earbuds, wireless Bluetooth TWS in-ear earbuds with charging case. When the headset is switched on and connected to the phone or a Bluetooth device with the call function, the call can be made. When you dial the phone, only one headset works. When the phone headset, there will be calls to remind and telegram, a short press to switch button to answer the call, if you don\'t want to answer a call can quickly press the two key switch (call blocking function). In the case of fast play music by the two key switch machine, mobile phone will be allocated in the last out going call (last number redial). When the headset is turned on and connected to the phone or Bluetooth enabled Bluetooth device , you can open the player and listen to the music. In the process of listening to music, press the button once, pause the current music, and play the music which has been suspended on short time. 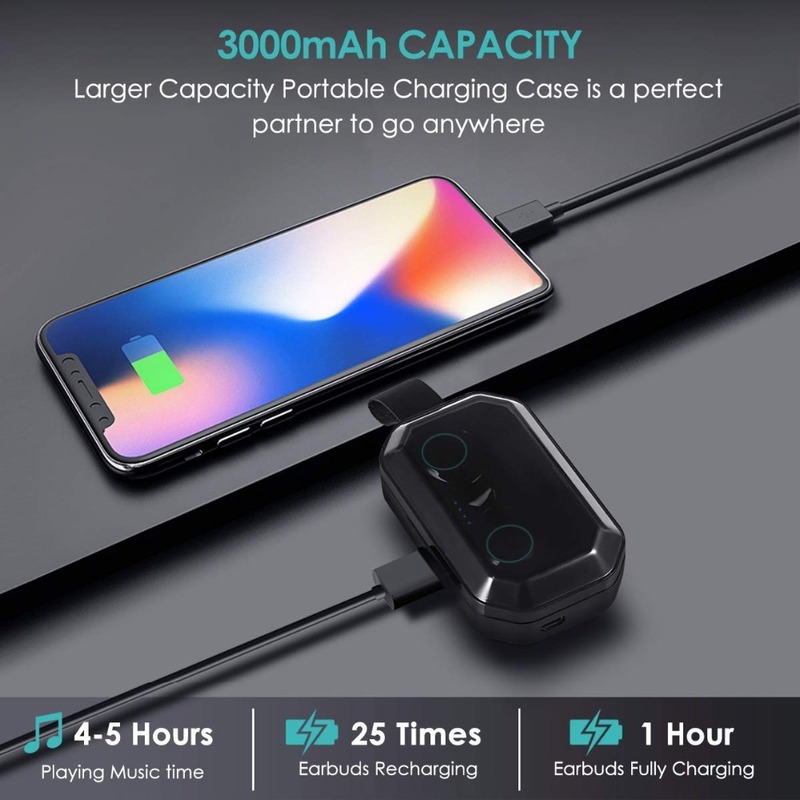 Long press the multi-function button, release the button, at this time, red and blue light alternately flashing, open the phone, Bluetooth can search for connection, also can support any other Bluetooth device connection. After the connection is successful, you can listen to music ormake a phone call. Long press the multi-function button to headset, and then double-click on either side of the multi-function button to enter the TWS pairing state, while the corresponding tone, when only the blue light flashes slowly when representing TWS connection.